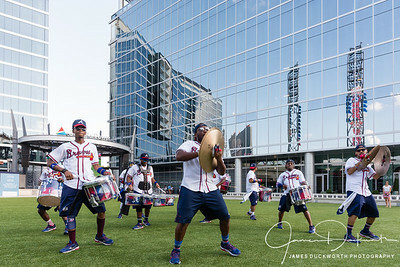 Pregame entertainment in the Battery at the Atlanta Braves Suntrust Park. 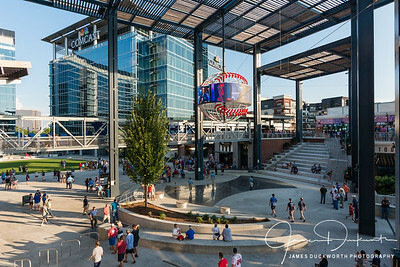 Baseball fans enjoying pregame festivities in the Battery at Suntrust Park. 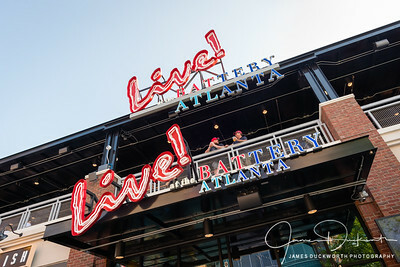 Suntrust Battery Signage with fans. 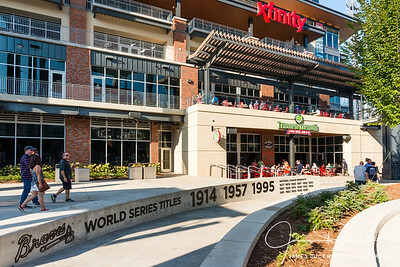 Suntrust Battery and fans with Fox Brothers Restaurant. 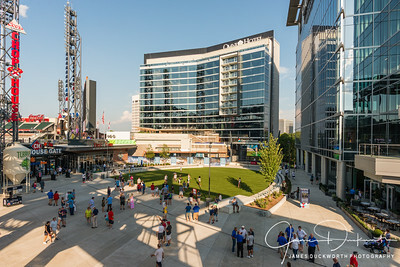 Fans enjoying Battery Park pregame activities at Suntrust Stadium. 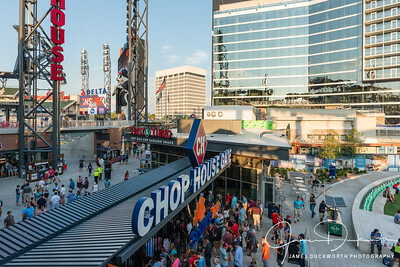 View of the Chop House Gate with baseball fans entering the stadium. 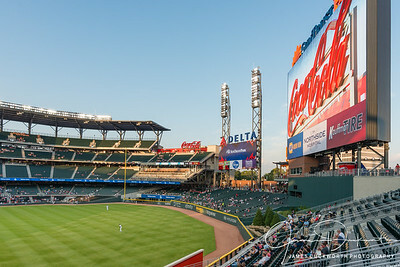 The Jumbotron at Suntrust Stadium during game time warmup. 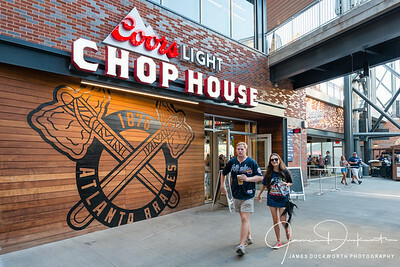 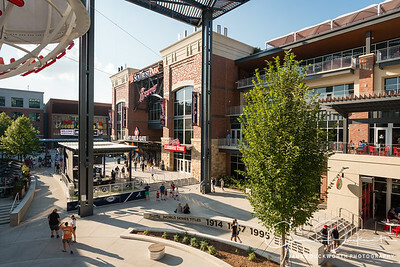 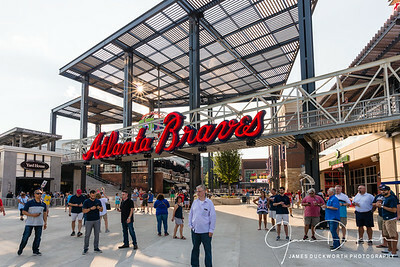 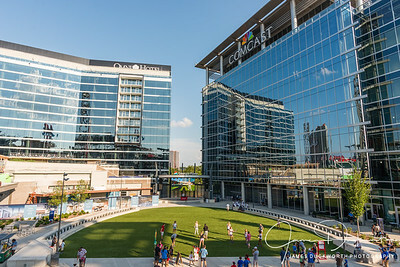 The Chop House is a fan favorite while attending games at Suntrust Park. 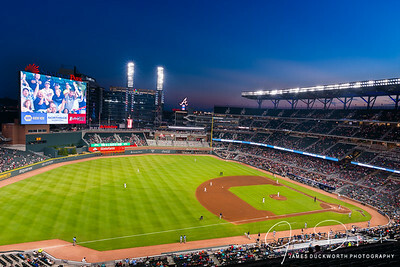 View of Suntrust Stadium just after sunset.